October is Pregnancy and Infant Loss Awareness month. This month, we remember and recognize all of the precious babies gone too soon. At the beginning of the month, I began taking name submissions for a project to honor as many of these beautiful babies as possible. The response was overwhelming. 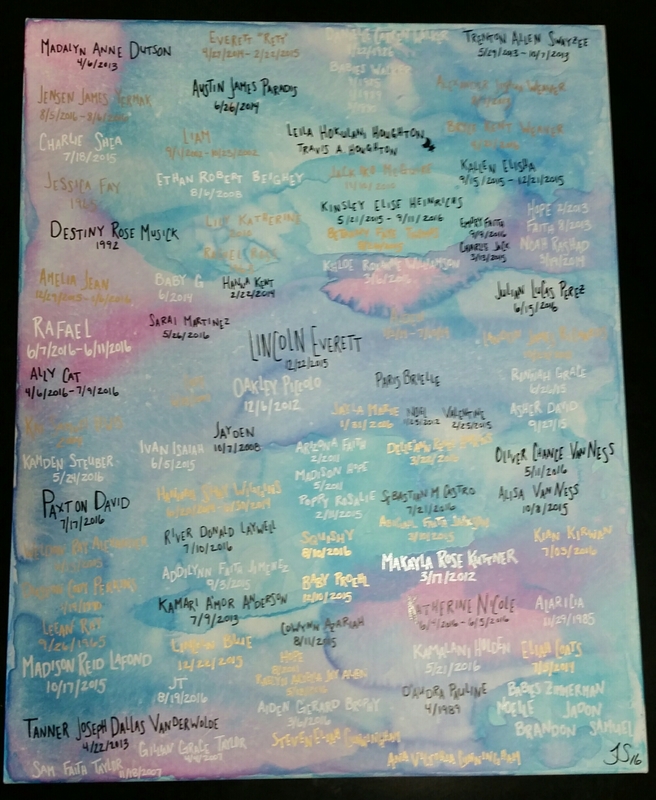 I filled up a large canvas, and the names were still pouring in. This canvas is filled with 104 names. Each name represents a different baby. A different life. Each and every individual name represents a heartbreak. These babies were wanted. They are loved. They are cherished. They are remembered.